NAOMI V. DEAVERS YOUNGSTOWN – Naomi V. Deavers, 83, passed away peacefully at 5:40 a.m. on Friday, Jan. 1, 2016, at St. Elizabeth Health Center in Youngstown. She was born in Tunnelton, W.Va., on Oct. 1, 1932, the daughter of George W. and Bertha A. (Reames) Grimm. 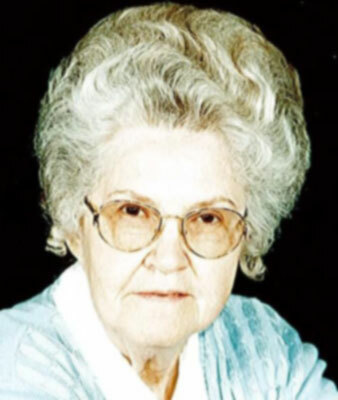 Naomi was a member of the Evening Light Apostolic Church and was their organist and pianist for many years. She enjoyed all the church fellowship and activities. Naomi is survived by a daughter, Penny (Sheldon) Wiles of Tunnelton; two sons, Stacey W. Deavers of Youngstown and Gary Kyle of Springfield, Mo. ; three grandchildren, Lisa Rankin, Frank Wiles, and Amanda Flynn; five great– grandchildren, Jeremy Swanson, Corban Wiles, Kendall Wiles, Clayton Flynn, and Natalie Flynn; and two great–great-grandchildren, Gunner and Hunter Swanson. She was preceded in death by her husband, Lester W. Deavers, whom she married Dec. 30, 1957, and who passed away April 24, 1996; great–grandson Rodney Swanson; three brothers, Truman Grimm, Foster Grimm, and Kenneth Grimm; and two sisters, Enid Sheets and Cleota Pientka. Please share your memories of Naomi.